2019-03-17	England, Europe, Italy, Spain Comments Off on VIDEO – 442oons: Team react to UEFA Champions League QF draw (Parody)! I just love to watch the 442oons and their funny take on football and its matches! In the 442oons of the day its a parody of the draw of the UEFA Champions League quarterfinals and takes a parody view of the reactions of the team. 2019-03-15	Bundesliga, England, Europe, Italy, Spain Comments Off on 2018/19 UEFA Europa League: Quarterfinals draw out! 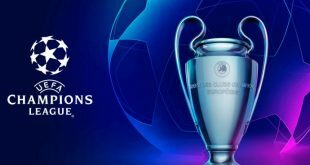 2018/19 UEFA Champions League: Quarterfinal draw out! 2019-03-15	England, Europe, Italy, Spain Comments Off on 2018/19 UEFA Champions League: Quarterfinal draw out! VIDEO – 442oons: Juventus FC 3-0 Atletico Madrid – CR7 Hattrick (Parody)! 2019-03-14	Italy, Spain Comments Off on VIDEO – 442oons: Juventus FC 3-0 Atletico Madrid – CR7 Hattrick (Parody)! I just love to watch the 442oons and their funny take on football and its matches! In the 442oons of the day its a parody of the UEFA Champions League match between Juventus FC and Atletico Madrid in which Cristiano Ronaldo scored a hattrick for Juve. VIDEO – 442oons: Atletico Madrid 2-0 Juventus FC – The Silent Movie (Parody)! 2019-03-05	Italy, Spain Comments Off on VIDEO – 442oons: Atletico Madrid 2-0 Juventus FC – The Silent Movie (Parody)! I just love to watch the 442oons and their funny take on football and its matches! In the 442oons of the day its a parody of the UEFA Champions League match between Atletico Madrid and Juventus FC as The Silent Movie. Nike & FC Internazionale Milano raid the vault for 20th Anniversary Jersey! 2019-02-26	Italy, Kits Comments Off on Nike & FC Internazionale Milano raid the vault for 20th Anniversary Jersey! 2018/19 UEFA Europa League: Pre-Quarterfinals draw out! 2019-02-22	Bundesliga, England, Europe, France, Italy, Spain Comments Off on 2018/19 UEFA Europa League: Pre-Quarterfinals draw out! 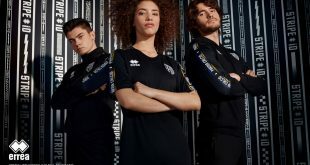 Parma Calcio debuts new Errea ‘STRIPE iD 2019’ leisurewear collection! 2019-01-29	Italy, Kits Comments Off on Parma Calcio debuts new Errea ‘STRIPE iD 2019’ leisurewear collection!